interested in, you’ll find out what’s most important about it: the content. 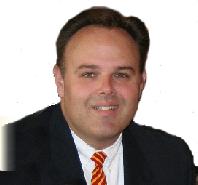 Kenneth Osbeck loves music; he loves hymnology; and he loves the Lord Jesus. Sounds like the perfect guy to write this kind of a book! He’s taught music on the collegiate level, and he’s ministered in the local church. To be quite frank: Mr. Osbeck is an expert who knows his stuff. This collection is exactly what it purports to be: the back stories of the hymns we love so much. At nearly 300 pages, you’ll quickly figure out that the average length of a hymn story is just about 3 pages. Long enough to learn the stories, yet short enough to keep reading. Many churches have left behind the Good ‘Ole Hymns of the Faith. Not Osbeck. For those who love those grand ole’ hymns, this book will be a real treasure. and 92 others that are absolute classics. Some of the authors he writes about are Fannie Crosby, John Newton, Charles Wesley, and dozens of others. Kind of puts the difficulties of our life in a little better perspective, doesn’t it? I give this book a “Great Resource for Everyone Rating” - which is basically my top rating for a book like this. It’s hard to imagine it being any better. 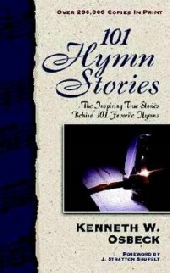 By the way - this book has been so popular, that Osbeck has released another book called “101 More Hymn Stories” plus several other similar kinds of books. Amazon.com offers 19 reviews (as of Februrary, 2012). Read it here.